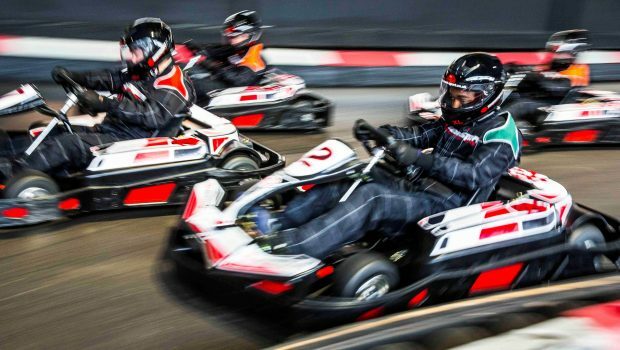 Motor racing might be a rich man’s sport, but for just over £30 you can unleash your inner Lewis Hamilton in a flurry of fast straights, tight corners and daredevil overtaking. Go-karting experiences are the cheapest way of taking to the track and testing the limits of your abilities behind the wheel. And as someone who only recently passed their driving test, I was keen to step out of my comfort zone and see if I have what it takes to beat other racers to the chequered flag. The venue was Team Sport UK in Acton, west London, where getting briefed, suited and booted to go racing can cost as little as £32. Football and boxing are more my thing, and I’ve never really understood the appeal of motorsport, but I soon found myself out on the track, trying to overtake other drivers and beat my own lap times. We were scheduled for a 3pm session and I thought it was going to be just me and my girlfriend, but it turned out there were five other racers raring to go at the same time. This brought on the nerves straight away. 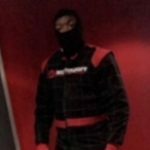 We suited up and were then taken into a room to be shown a video explaining all the rules on how to be safe on the track, with a quick talk from one of the staff who calmed some of those nerves. The track employees struck a good balance between being friendly and approachable while explaining all of the potential hazards and offering tips for getting the most out of our session. After making sure our helmets were on properly and we were all comfortable in our karts, it was time for the safety laps. We were tested on our knowledge of the different flags and whether we could follow instructions on stopping and slowing down, then the first 10-minute race session commenced. The first corner saw my first mistake. As it loomed, I slowed down rapidly to avoid losing control, but lost too much speed and allowed another driver to overtake me. There was also plenty of times on different turns where I didn’t slow down enough and ended up spinning out of control. After 10 minutes, we were all called in to discover the results of the first session. I was excited to see how well I’d done in comparison to the others, but it turned out that I’d finished second to last. This brought out my competitive side, and I wanted to drastically improve in the second race, but you could see from the reaction from the others that they did too. The mood changed from it being a bit of fun to competitive racing. In the second race, everyone was taking a lot more risks after getting the feel of their karts and the track itself. A lot more overtaking and a plenty of collisions were happening, which again makes you realise how talented F1 drivers really are. It’s not just about having the fastest car; there are so many other aspects, like choosing your moment when to overtake and how to approach corners, because if you get it wrong in F1 it is potentially life-threatening. After coming into the pits for the second time, the results showed that people were getting a lot faster and being a lot more tactical. I was certainly happy as I went from second to last to 3rd place, and felt a real sense of achievement. The final race session began, but for me it was more about enjoying the moment rather than trying to completely outdo my opponents to win. As each corner came up, I experimented on how to approach them, seeing what was best, increasing or decreasing the speed, or what angle to take the corner at. By the end of it, I feel I had worked out how to race on the track to the best of my ability. Overall, my go-karting experience was a fantastic one. I was able to learn as I participated, which gave me a new-found respect for F1 as a sport. It is something I would definitely do again with my friends for a birthday or get-together, and it was worth the money we spent. For more information about go-karting at one of Team Sport UK’s tracks, visit their website.